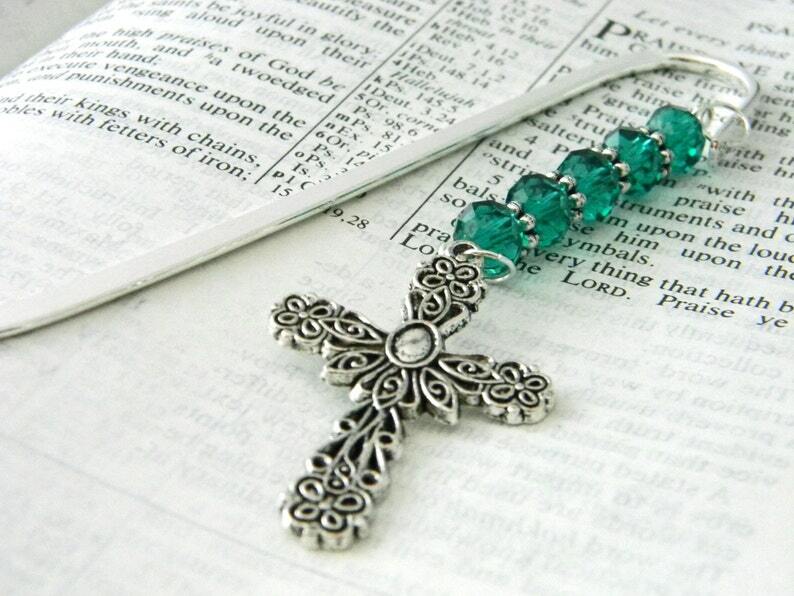 A large fancy cross charm hangs from a strand of green glass beads. The bookmark is a shepherd hook style and is five inches long. It is made of silver plated steel. Perfect for using in your Bible or any other favorite book! cute. will make a good gift.fast shipping, thanks.